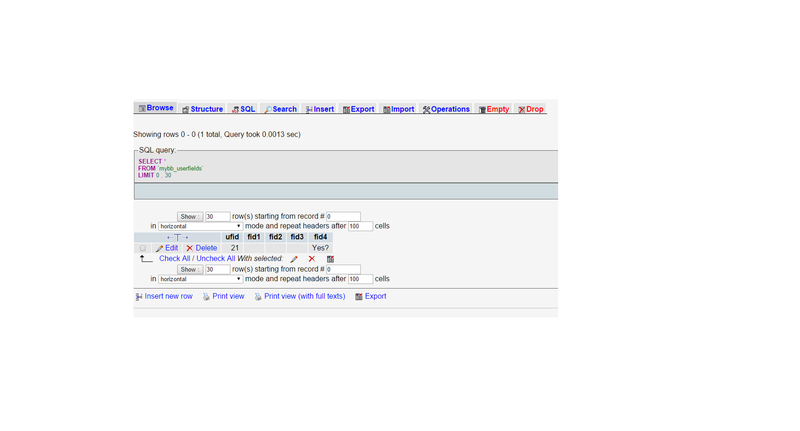 I need to use a custom profile field in my MyBB plugin. The id for the custom profile field is 4. It is a set of radio buttons one says: Yes? the other says No? They are to be used in a if statement. All the methods below don't work for some weird reason. I think i did the correct thing by adding this in the function? Should put the value of the field in $field. If it doesn't work, make sure $user_info actually has a proper uid. Thanks for your help. This forum is more helpful then the official mybb forum. You can Lock/Close thread. How would use a checkbox if statement so if FID4 was a checkbox how would you check if checked or if not checked?